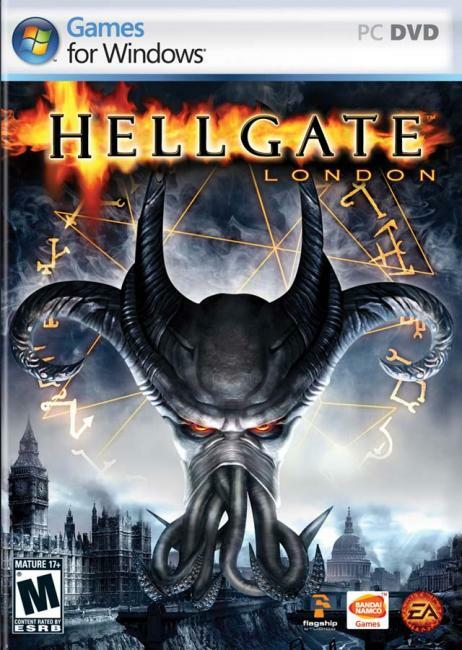 GB: Hellgate: London has been up and running for over seven months now. Before moving on to The Abyss Chronicles, can you give us a brief overview of the additions and changes you've made to the game since launch? Tyler: Looking back, I'm pretty amazed at all of the improvements that we have made in the last few months. Just looking through the patch notes http://www.hellgatelondon.com/patches shows a pretty long list of features and bug fixes. We've added Stonehenge with its repeatable boss runs and wildly different backgrounds, in-game e-mail, the Rank and Expertise system for level 50 characters, an improved party system, shared stash across all of your characters, huge improvements in client performance and stability, a rebalance of half of the skills, a myriad of tiny improvements to chat and the UI, a dueling arena, a ton of new weapons, armor, pets, dye kits, and a huge list of bug fixes. GB: What can we expect from The Abyss Chronicles? What were your primary goals when developing this particular update? Tyler: Our Chronicles are designed to be much more than a patch and the Abyss Chronicle is much more significant in scope than our first Chronicle. We've added a long laundry list of new features with this update, but the four big goals were making a new set of levels with new boss fights and some really cool rewards, three new skills for each character class, the Blademaster rebalance and the Consignment Shop. The new levels should give Subscribers a lot of new content to run around in. The new skills really enhance the current character classes and allow for some completely new play styles including the Summoner transforming into a demon who focuses on melee and summons freaky melee fighters. The Blademaster needed some love. He will be doing much more damage and have more viable skills with this update. GB: Tell us a bit about how the new consignment system will work. Will there be a limitation to the number of items a player can have up for sale at any given time? Are there any plans to eventually allow bids on items rather than just a "buy out" price? Tyler: The Consignment Shop will let players buy and sell items much like Auction Houses that are common in MMORPGs. You will be able to buy and sell items across our entire shard. You can do things like see all of the level 15-21 swords that are for sale or check to see if anyone is trying to sell that unique gun that you've been looking for. To encourage people to carefully choose which items they would like to sell, we have a limit on how many items a character can have in the shop. I think that the limit might be around 20, but I'm not sure. I've got a few people starting work on the bidding system, but it isn't going to be ready in time for the Abyss Chronicles. This is what ongoing development is often like. You try to get people features as fast as you can with high quality, and sometimes that means doing things like first giving them a Consignment Shop and then changing it into a full-fledged Auction House later. If we had gone straight for the Auction House, we would have released it at least a month later. GB: What sort of items can be placed in the new trinket slots and what type of enchantments will these items provide? Tyler: The first set of trinkets which will be introduced in the Abyss Chronicles will be rings. When you first find the ring, it will have some pretty horrible negative properties and be considered (cursed.) You will need to do a little crafting work to cleanse it, but the rewards are huge. The cleansed rings have some really powerful properties. GB: Are you introducing any new unique items with The Abyss Chronicles update? If so, will these items only be obtainable in the new zones or will they also have a chance to drop in the original and Stonehenge zones? Tyler: We have a large set of new items in the Abyss Chronicles. There are new armor lines for each faction which look pretty cool and have some interesting plus and minus choices for the player like Cabalist armor that adds to power but removes health. There are also some new weapons for every class like a massive mace which has spinning blades when you swing it. With the exception of the new focus items designed for a melee Summoner, all of these items can only be found in the Abyss areas. All of them have unique versions which mostly are set to drop off of specific bosses. We have also added a couple new kinds of magic items: Mythic and Double Edged. The Mythic items are really, really rare, have one extremely powerful Mythic property and a random number of Legendary properties. The Double Edged items are a much more common, and they have one powerful Mythic property and one negative property. These will drop everywhere. GB: After rolling out the 2.0 changes to the Blademaster's skill tree, will you be turning your attention to another class for a future update? If so, any hints as to which class it might be? Tyler: We've been working our way through the character classes adjusting their balance, fixing bugs and remaking skills that didn't work out as we had intended. Now, there are only two more classes that we haven't addressed yet: the Engineer and the Summoner. Now, this is mostly because these two classes have needed the least (help.) Which one will we work on next? I'm not 100% certain, but we've recently hired a designer who is quite passionate about the Summoner class. GB: Patch 2.1 will focus almost entirely on PvP. Can you give us an overview of how the expanded PvP system will function? What sort of rewards and achievements are planned for those who participate in PvP? Tyler: I can't give a lot of details here because frankly, we are still brainstorming about it. I can say that we have been working on a ranking system for PvP, automated matchmaking, drop-in-drop-out games, some PvP achievements, and a few other reward ideas. We also have a Capture the Flag game which should be ready for players in our Test Center to try out soon. GB: Also included in Patch 2.1 is a (much needed) rebalance to the attribute feed system on items. What can we expect from these changes? Will feeds still be dependent on which enchantments are present on an item (ie. critical bonuses requiring accuracy), or will they be calculated in another manner? Tyler: Patch 2.1 will include a careful rebalancing of the feed system. We have a few ideas about how to approach the problem. One thought has been to make the enhancement's feed requirements match your faction's more common attributes. We are still talking about a few other ideas as well. To help players until Patch 2.1 comes out, The Abyss Chronicles has an NPC that will charge you palladium to redistribute your attributes. GB: What's next after The Abyss Chronicles and Patch 2.1? Can you give us a rundown of features and changes you'd like to implement into the game with future content updates? Tyler: We've got a few different directions that we can go with Hellgate: London after Patch 2.1. I can't really commit today on which path we will take there are some high-level debates about this going on right now. Thanks for your time, Tyler!